If you follow me on twitter you'll see that I may or may not have gotten pissed at FedEx and UPS because packages scheduled for delivery on November 30th were not delivered by 10:00pm. FedEx stayed in contact with me and delivered at 11:00pm. That driver deserves recognition for going above and beyond. I also have to give the FedEx social media team credit for being immediately responsive and polite. UPS on the other hand didn't deliver until December 1st, didn't ever update their package tracking, and was only responsive on social media after I called them out for being MIA. If I had to pick a delivery service for my Christmas gifts based off the way they responded to the late deliveries FedEx would win hands down. Anyways, onto my Black Friday haul. Asics had an amazing sale on running shoes and I was able to snag two pairs of GT-2000 for under $100.00! I love the GT line and these are no exception. My last pair of running shoes has made it through 3 half marathons and almost a year (possible over a year) of runs. They are well overdue for a well deserved retirement. As you've probably figured out, I'm addicted to makeup. If they could my friends would probably throw me into rehab for this addiction. But they can't and my local Ulta would probably be confused if I didn't show up for every other new release. So, once again I went and ordered a ton of makeup on Black Friday. In my defense, this should be my main stock for the year along with the Fundays sale and the Cyber Monday sale. 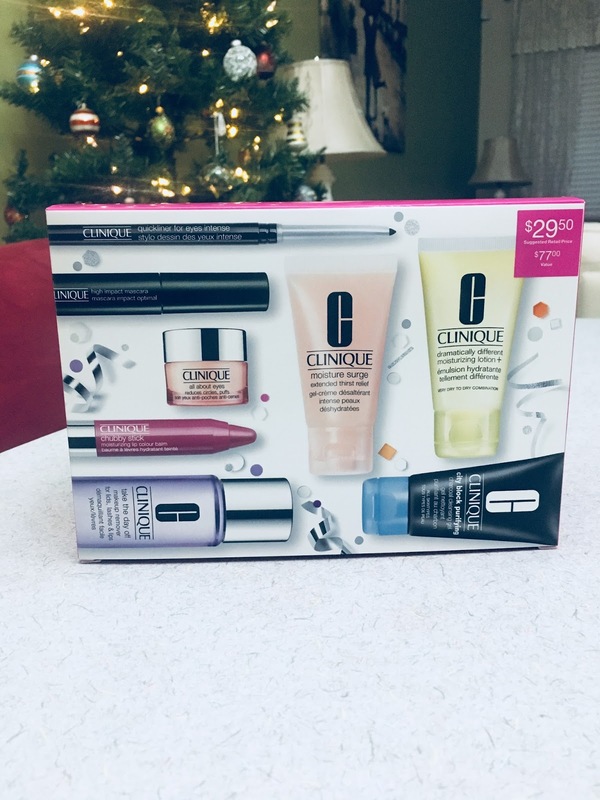 The first Ulta item is the Clinique Party Favours set. This set includes trial sizes of the Quickliner for Eyes Intense, High Impact Mascara, All About Eyes, Chubby Stick Moisturizing Lip Color Balm Take the Day Off Makeup Remover, Moisture Surge Extended Thirst Relief, Dramatically Different Moisturizing Lotion, and City Block Purifying Charcoal Cleansing Gel. Some of these items I've tried before, like the Dramatically Different Moisturizing Lotion. Other items like the City Block Cleansing Gel are new to me. 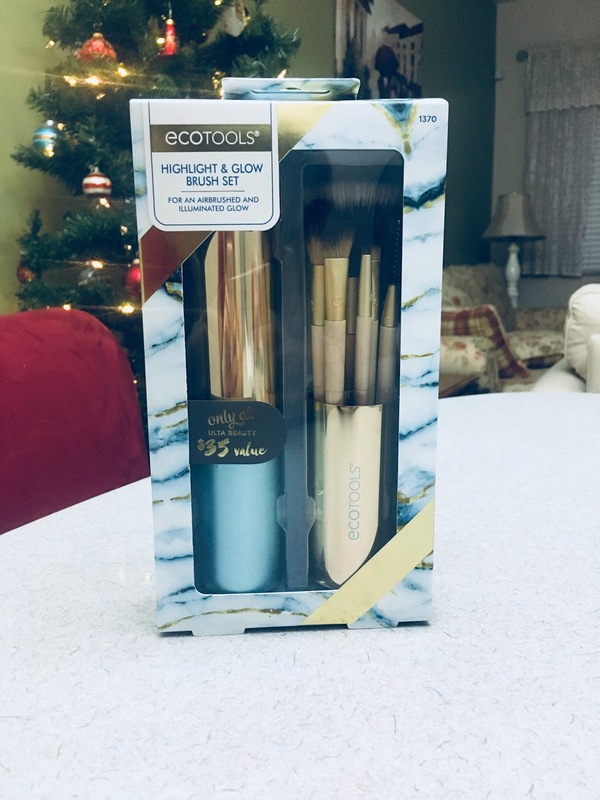 The second Ulta item is the Ecotools Highlight & Glow Brush Set. I saw that this set included a spoolie for eyebrows and jumped on it. Currently, the only eyebrow brush I have is included with my eyebrow gel so a dedicated dry brush will be nice The other brushes will honestly be a surprise for me after I open the box. 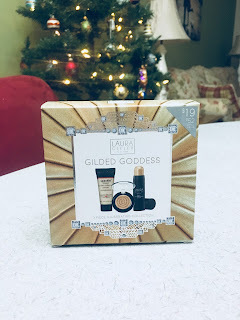 The next item is the Laura Geller New York Gilded Goddess collection. Last year I received a baked highlighter from Laura Geller and fell in love with it. 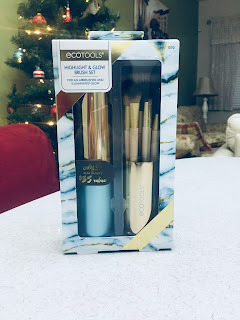 When I saw that this set includes a baked highlighter and an illuminating stick I knew I had to have it! The fourth item from Ulta is the Origins Skin Bests Black Friday Set. This set includes a travel size of the Clear Improvement Active Charcoal Mask Checks and Balances Frothy Face Wash, and Ginzing Energy-Boosting Gel Moisturizer. I've eyed the Origins line for awhile and was excited to see this set, it should be a nice intro to Origins and help me decided if it's worth splurging on. 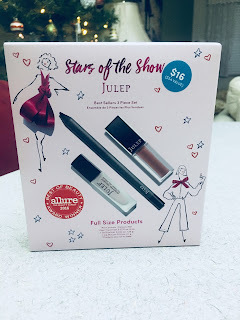 The fifth item is Julep Stars of the Show set. Julep is another brand that I've been interested in but haven't made the jump to try yet. 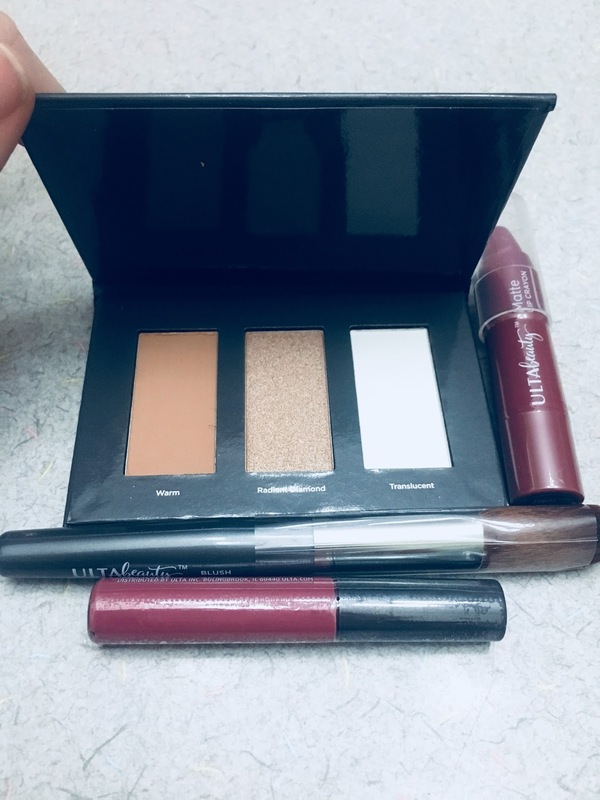 This set includes a nail treatment, gel eyeliner, and lip mousse. 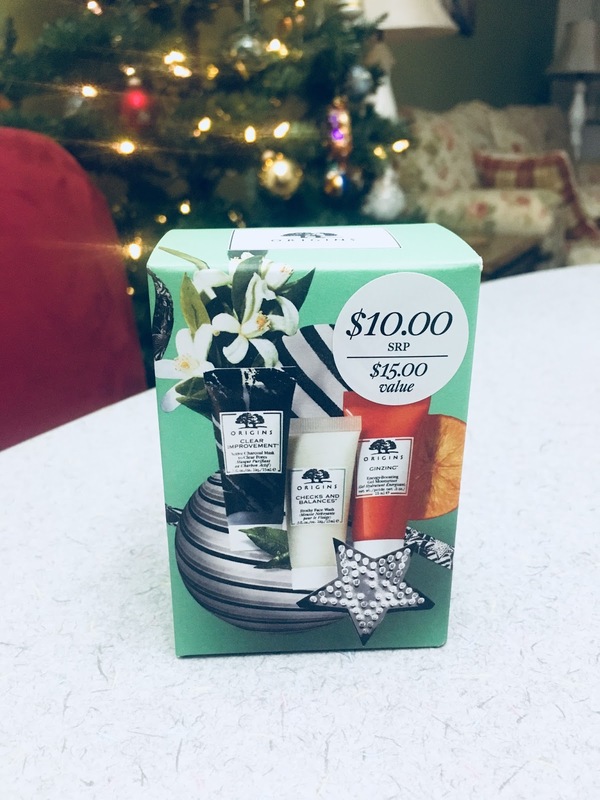 All three products are full size which is better than the standard holiday set! The final paid Ulta item is the NYX Lippie Countdown Advent Calendar. Last year I bought the NYX Advent Calendar with the Lingerie collection and loved it! So I knew when I saw this calendar that I had to have it! Opening up the Calendar you see the 24 boxes all nicely lined up. This year instead of doing random spaces each day is in order. This makes the organizational freak in me happy because there's little thought that will need to go into where the next day is and it means that the sides will be even. As you can see, each day is nicely nested in the associated day which creates a nice display when you open it. The first day includes the NYX Matte Lipstick in Eden. Eden is a nice blue toned red that is soft enough for day wear but would transfer nicely to a night look depending on the eye. When I went to wash off the swatch on my hand this didn't budge or smudge. It took two rounds with soap and water to wash off Eden. 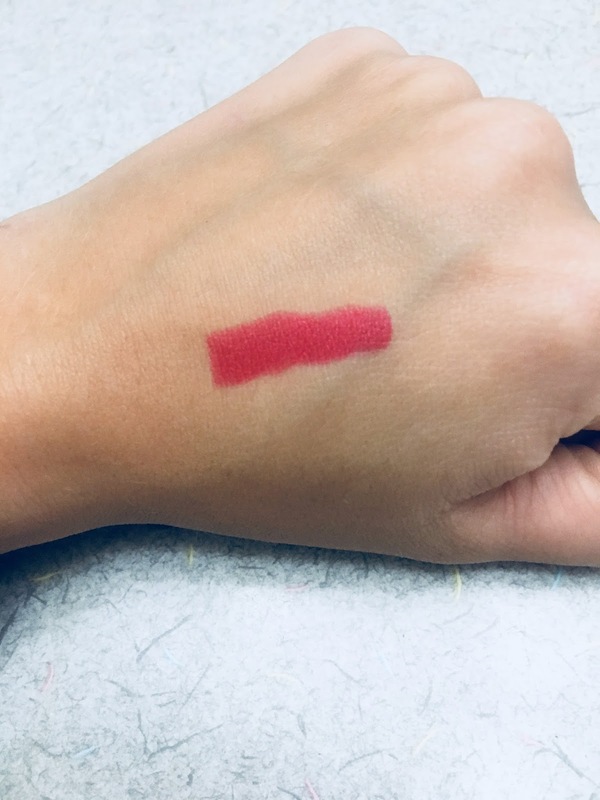 Because I received the Ulta package so late I was unable to wear Eden during the day, but after seeing how hard it was to wash off I would bet that this is a good half day lipstick. I look forward to wearing this for a full day and playing around with this color. The final items in the Ulta box are the freebies that I love to get during these sales. The first two are from the standard skincare sample that I always select. They included Bliss Triple Oxygen Instant Energizing Foaming Mask, and the Bliss Fabulous Drench 'n' Quench Cream-To-Water Lock-In Moisturizer. I'm excited to try the Foaming Mask, but a bit freaked out about the idea of a Cream-To-Water Moisturizer. Like most years, this Black Friday sale included the option of a gift with purchase. 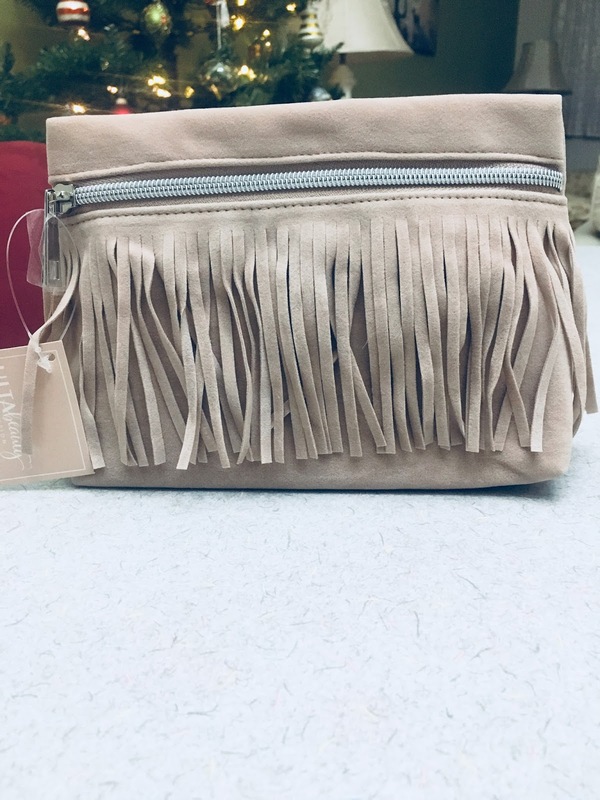 I selected the Fringe bag in Bone because it seemed like the most neutral color. This bag included all Ulta branded makeup which I have recently come to appreciate. 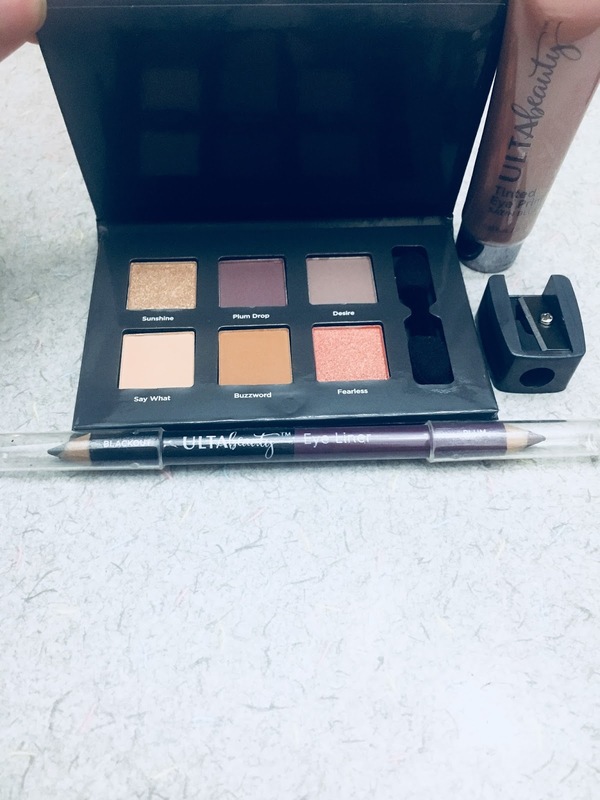 There was a double ended eyeliner in Blackout and Plum, a Tinted Eye Primer, a sharpener, and an eyeshadow kit in Sunshine, Plum Drop, Desire, Say What, Buzzword, and Fearless. 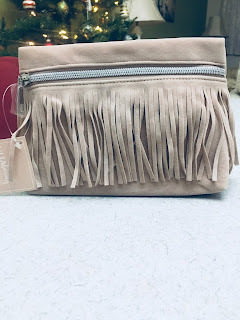 This bag also included a blush brush lip gloss, Matte Lip Crayon, and highlighter kit in Warm, Radiant Diamond, and Translucent.